Warwick Parer, entrepreneur, businessman and politician, was born in Wau, Papua New Guinea on 6 April 1936, son of Kevin Parer and his wife Annie (Nance), née McGahan. The Parers were pioneers of the timber, mining and aviation industries in New Guinea, where Kevin founded an airline, Parer's Air Transport. Kevin Parer was reported to have been the first Australian to die at the hands of the Japanese in New Guinea in the Second World War, when Japanese aircraft strafed his plane as he attempted to take off from the Salamaua runway. Warwick was nearly six and his heavily pregnant mother told him, unforgettably: 'You are now the man of the family'. Their New Guinea assets razed in the scorched earth policy used by the Australian Army to frustrate the advancing Japanese, the widow and her three children fled to Warwick in southern Queensland where they had many relatives, and where a fourth child was born. Warwick inherited a strong Catholic faith from both sides of his family, which was developed by Catholic primary schooling. In 1948, after a prolonged battle, his mother was compensated for the destruction of their property in the war. This enabled the family to move to Brisbane where Warwick completed his primary education at St Joachim's in Holland Park. For his secondary education he boarded at a leading Catholic school, Nudgee College. He was an ordinary scholar but an enthusiastic and competent sportsman, especially in swimming, athletics and rugby union; he made life-long friends and was a prefect in his final year. Parer studied medicine for three years at the University of Queensland, but was more committed to extra-curricular activities and his courtship of Kathleen (Kathi) Martin, a physical education student. He failed his course and in 1956 moved to Melbourne to work for his uncles, proprietors of Stanford X-Ray Co. Pty, a manufacturer of x-ray machines. He continued to court Kathi by mail and they were married in Brisbane in St Agatha's Catholic Church, Clayfield, on 11 July 1959. Over the next twelve years, the couple had four daughters followed by three sons. With only a meagre salary from Stanford X-Ray, Warwick set about improving his prospects. He returned to tertiary study as an evening student at the University of Melbourne and completed a Bachelor of Commerce degree. He subsequently qualified as a certified practising accountant, auditor and company secretary. In 1962 Parer took a huge risk. He mortgaged the family's East Kew home and established his own business, Non-Destructive Testing Laboratories Pty Ltd (NDTL). NDTL tested metals using x-rays, isotopes, ultrasonics and magnetics. Luck, expertise, timing and hard work enabled NDTL to survive and then thrive. The Bass Strait oil industry emerged and NDTL met the burgeoning demand to test off-shore platforms and pipelines. NDTL became agent for the American firm, Automation Sperry, and imported their bus-train to ultrasonically test rail lines, including those conveying iron ore from the Pilbara to the port at Dampier. The company's operations extended into Queensland, where it tested the Moonie oil pipeline, and later into South Australia. Within three years NDTL had more than one hundred employees. At the end of 1968 Automation Sperry bought NDTL on the condition that Parer remained managing director for a further year. The 1960s was Parer's most creative and challenging decade with the establishment of NDTL as a singular achievement. Conscious of their ageing parents, the Parers returned to Brisbane in 1970. Warwick was headhunted by the Utah Development Company (UDC) as administration manager in UDC's Brisbane office. From 1973 Parer was UDC's commercial manager and assistant company secretary. He played a crucial role in the company's remarkable development of the Bowen Basin coal industry into a globally significant producer. He pioneered substantial new coal markets in Asia and Europe. A Courier-Mail journalist, reflecting on Parer's role in developing the Japanese market, lauded him as 'the nation's most successful salesman'. Domestically, too, Parer was UDC's expert negotiator, dealing with federal and state governments on complex rail, port, power and legal issues. By 1980 UDC, operating under its own Queensland Act of Parliament, had some three thousand Bowen Basin employees who produced over eighty per cent of Queensland's coal exports. Parer derived enormous satisfaction from his integral role in UDC's dramatic expansion. The project also encountered obstacles and frustrations which made Parer acutely aware of the limitations of the political and public policy environments in which mining companies operated. The election of the Whitlam Labor Government in 1972 and the subsequent appointment of Rex Connor to the new portfolio of minerals and energy were seminal factors in Parer's later political career. Connor, whom Parer met as one of two UDC negotiators, was openly hostile to foreign mining companies and determined to forge a major role for the new government in the coal market. This included exercising control of minerals exports in a bid to set the price paid by overseas customers. Parer was convinced that the government's export controls were a major blunder because they increased sovereign risk and drove Australia's overseas customers, especially Japan and Korea, to diversify their sources of supply from new coking coal producers in North America and South Africa. Connor's aggressive interventions went further and he used export controls to block UDC's development of the Norwich Park mine in the Bowen Basin. UDC also had to contend with an upsurge of trade union militancy which threatened its productivity and hard-won overseas markets. In the late 1970s the company won a historic industrial relations struggle with the Seamen's Union of Australia (SUA) over UDC's employment of foreign sailors. After the union impounded one of UDC's ships, Parer responded for UDC by invoking the secondary boycott provisions of the Trade Practices Act 1974. He obtained an injunction against the SUA and a subsequent High Court appeal by the union failed. From 1976 to 1979, Parer chaired the Australian Coal Exporters Association. In 1980 he left UDC to set up his own coal mine development company, Queensland Energy Management Pty Ltd. He took with him an enduring distrust of big government and militant unionism. Parer's identification with the conservative side of politics began with his family's entrepreneurial tradition and was nurtured as part of his Christian Brothers education at Nudgee College. There he absorbed suspicion that the federal Labor Party, and particularly its leader, H. V. Evatt, harboured communist sympathies. In 1970s Queensland, Parer had little time for the dominant National Party. He disliked its 'agrarian socialism' and Premier Joh Bjelke-Petersen's erratic administrative style. For Parer, an admirer of Robert Menzies, the Liberal Party best represented 'free enterprise with heart' and, although not a member, he chaired an energy and resources policy committee for the Queensland branch after his return from Melbourne. In 1984 the president of the Queensland Liberal Party, John Moore, asked Parer to stand for preselection for a casual Senate vacancy caused by the resignation of Senator Kathy Martin. Parer consulted his family. The prospect of dismantling the Whitlam-Connor minerals export controls was a powerful enticement. Parer immediately joined the Creek Road branch of the Liberal Party. There were twenty aspirants seeking Liberal endorsement and Parer won on the first ballot. On 22 November 1984 the Queensland Legislative Assembly choose Warwick Parer to fill the Senate vacancy. In his first speech to the Senate on 20 March 1985, Parer painted a sombre picture of an Australia in decline, its prosperity sapped by big government, excessive regulation, high taxes, ineffectual social justice policies and a highly unionised workforce. His antidotes were smaller government, lower taxes, deregulation, the taming of militant unions and the dismantling of government monopolies. These were themes which he pursued throughout his time as an opposition senator. In 1987 Parer chaired an opposition task force which detailed alleged rorts in the building industry. Subsequently, as chair of the Opposition's waste watch committee, he targeted the Waterside Workers Federation in a 1989 report on its activities in Queensland ports. Compulsory unionism, in particular, affronted his entrepreneurial individualism and he pilloried the Hawke Labor Government as 'the servant of monopolistic trade union leaders and not of the individual electors of Australia'. He brought his UDC background into Parliament, recalling the Whitlam-Connor 'political campaign of hate' against foreign mining companies and attacking the ALP's 'loony three-mine policy' on uranium. Parer maintained his interest in Queensland coal and, in the late 1980s, he chaired Queensland Coal Mine Management Pty Ltd (QCMM) which developed the Jellinbah East coal mine near Blackwater in the Bowen Basin. From 1987 to 1996 Parer shared a Canberra unit with future Liberal Prime Minister John Howard. He admired Howard's intellect, character and leadership style. The two became friends and Parer shared Howard's views, especially on economics, mining and industrial relations. In the federal parliamentary Liberal Party's internal struggles between 1985 and 1995, Parer was a consistent Howard supporter, although it was John Hewson who first appointed him to the shadow ministry in April 1990, with responsibility for administrative services, local government and the Australian Capital Territory. Parer campaigned for electoral reform, preparing a case for the abolition of compulsory voting in federal elections. In a pamphlet setting out his argument he placed compulsory voting in the same collectivist category as compulsory unionism. He won over shadow cabinet on the issue but failed to get majority support in the party room. Parer also led the Coalition's fight in the Senate against the Political Broadcasts and Political Disclosures Bill 1991, which for a short time banned all paid political advertising on radio and television (the legislation was overturned by the High Court later that year). Parer emphasised his commitment to freedom of expression and resolutely opposed public funding of political parties. Parer returned to the back bench in April 1993, but was appointed to the shadow ministry again by Alexander Downer in May 1994, when he assumed responsibility for aviation and tourism, and customs. He embarrassed the Labor Government over aviation policy, highlighting its difficulties with a proposed single trans-Tasman aviation market, air safety regulation and the third runway at Sydney Airport. In 1995 he chaired the Select Committee on Aircraft Noise in Sydney, discovering in the process that aircraft noise was a complex, vexed issue, in no way confined to Sydney. Following the election of the Howard Government, Parer became Minister for Resources and Energy on 11 March 1996. He saw himself, equipped with firsthand knowledge of the industry, as the minister 'for' mining, in contrast to his Labor predecessors whom he regarded as ministers 'against' mining. On his first day in office he declared an end to the ALP's three-mines uranium policy, and subsequently foreshadowed the development of new Australian mines, including an environmentally contentious mine at Jabiluka, and uranium sales to Indonesia. His greatest priority was the abolition of the Whitlam-Connor export controls on minerals, except uranium, and he drew heavily on his UDC experience in an attempt to convince the Senate that the controls were disastrously bureaucratic and detrimental to Australian mining and the national economy. Parer sought to abolish export controls, by regulation, in May 1996. The move failed, principally because the ALP and the Greens regarded them as an important Commonwealth power for environmental management. Parer bided his time. Twelve months later, the Senate balance of power lay with two Independents, Brian Harradine (Tas.) and Mal Colston. Parer lobbied both of them, finding Colston amenable but Harradine, who had supported export controls in the past, was initially non-committal. In the end Harradine, swayed by his respect for Parer's integrity, voted with the government, while Colston abstained from voting. The ALP's motion to disallow Parer's regulatory abolition of export controls was defeated on 29 May 1997, thirty-six votes to thirty-four. Parer had achieved the most important objective of his parliamentary career. Parer's ministerial career was marked by other achievements, including a vigorous campaign to protect endangered fish species, the retention of the diesel fuel rebate and the abolition of the prawn export promotion levy. His measures to protect the endangered Patagonian toothfish and the southern bluefin tuna included the deployment of Australian naval vessels and the banning of a fifty-five boat Japanese tuna fleet from Australian waters. The diesel fuel rebate, enjoyed by miners and farmers, was targeted by Treasurer Peter Costello in his 1996 quest for budget savings to reduce government debt. Parer, with the mining and rural industries behind him, led a determined campaign inside the government's expenditure review committee which blocked Costello's bid to abolish the rebate. The compulsory prawn export promotion levy, imposed by the previous government in 1995, was detested by most prawners, especially the smaller operators and processors. Parer regarded the levy as another big government impost on a primary industry. After confirming the industry's opposition by plebiscite, he reduced the levy to zero per cent. On 11 March 1998, in the House of Representatives, the ALP's Simon Crean directed a question without notice to Prime Minister Howard. He alleged that Warwick Parer held shares worth two million dollars in QCMM, breaching the prime minister's guidelines which required ministers to divest themselves of interests in companies operating in their portfolio area. In a subsequent question Crean flourished a diagram depicting Parer's coal interests as a 'web of deceit'. These were the opening barrages in a ferocious attack on Parer's personal and ministerial integrity. The allegations, centred mainly on the Parer family trust, were taken up by the media, which broadly accepted that the crisis threatened the Prime Minister and his government. The Courier-Mail concluded that 'Parer should save Howard by resigning'. On 26 March, Australian Greens Senator Bob Brown (Tas.) moved to refer consideration of Parer's conduct to the Committee of Privileges, to ascertain whether Parer had 'failed to declare a relevant interest' before divisions on three bills and whether he had 'knowingly failed' to list relevant details on the Senate's Register of Interests. Brown's motion was supported by the ALP and the Australian Democrats but was defeated by two votes, with senators Harradine and Colston supporting the government, the first proposed referral to the Committee of Privileges ever to have been defeated in the Senate on party lines. While Parer was hurt by the public assault and, more particularly, its unpleasant repercussions on his family, he resolutely defended the integrity of his ministerial record. He made no apology for advancing the cause of Australian mining but was adamant that his personal interests never intruded into his portfolio. He admitted that he was 'unaware' of disclosure rules which required senators to list shares individually, a matter he remedied as soon as it came to his attention. The prime minister defended Parer against the more serious allegations saying that his focus was on 'the quality and substance of an individual's behaviour' and he emphatically dismissed claims that Parer had been in any way dishonest or guilty of a conflict of interest. When Parer offered to resign in order to spare the government further embarrassment, Howard declined to accept his resignation on the grounds that 'it could be perceived incorrectly as an admission of some sort of guilt'. After the Parer affair the Prime Minister revised the ministerial guidelines to allow ministers to transfer shares in companies related to their portfolios to non-dependent family members or to be placed in a blind trust. This was described in the media and by the Opposition parties as a watering down of the code of conduct. Howard responded that he wished to remove the possibility that wealthy individuals could be 'intimidated out of offering themselves for public service'. 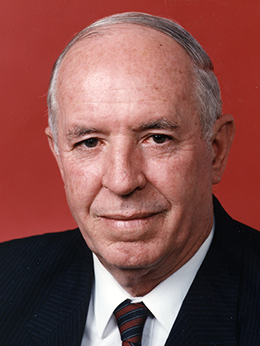 Parer led the Queensland Liberal Senate ticket in the October 1998 federal election, but his commitment to representative political life was ebbing. The intensity of the attack on his integrity had upset his family and he had achieved his major goals for the resources and energy portfolio. Parer told Howard that he did not want to be reappointed to the ministry. He resigned from the Senate on 2 February 2000. Parer dismissed the ministerial conflict of interest allegations as 'an enormous beat-up'. He saw in his own case an explanation for the reluctance of many successful business people to contribute more to national leadership—'the impossible scrutiny of politicians' personal and business affairs'. Parer continued to contribute to public life after he retired from the Senate. He chaired a review of the Australian energy market for the Council of Australian Governments between 2001 and 2002. Its report, Towards a Truly National and Efficient Energy Market, was an important contribution to the development of an accessible and competitive national energy market. Parer assumed the presidency of the Queensland Liberal Party in November 2005 and his term culminated in July 2008 with the achievement of another of his goals, the amalgamation of the state Liberal and National parties into the LNP. In January 2005 he was appointed a Member of the Order of Australia in recognition of his parliamentary work 'in policy development and broadening of export opportunities for the mining industry' and 'energy market reform'. Warwick Parer was an unusual Australian politician in that he achieved distinction as an entrepreneur and businessman before he entered Parliament. As a minister, he achieved notable deregulation in the resources and energy portfolio and, as another Queensland Liberal Party president Con Galtos remarked, 'industry people regard him as the best mining and energy minister they have ever had'. This entry draws throughout on the author's record of interviews with Warwick Parer, Brisbane, 1 & 8 Oct. 2009, 25 Feb. 2010; Kevin J. Parer, A Time B4, Brisbane, Qld, 2006. Courier-Mail (Brisb. ), 27 May, 1994, p. 12, 25 March 1998, p. 2; 'Profile: Senator Warwick Parer', House Magazine, 24 May 1989, p. 3; CPD, 22 April 1985, p. 1300, 4 May 1987, p. 2234, 21 Oct. 1993, pp. 2381–2. Courier-Mail (Brisb. ), 12 Nov. 1984, p. 5; CPD, 20 March 1985, pp. 512–16; Speech by Warwick Parer to the Australian Institute of Management's Annual North Queensland Conference, 24 May 1985; Courier-Mail (Brisb. ), 6 May 1989, p. 25; Transcript, ABC TV, '7:30 Report', 21 May 1987; Press Release, Senator Warwick Parer, 2 July 1987; CPD, 24 Sept. 1986, pp. 764–7, 18 March 1987, pp. 888–91, 25 May 1989, p. 2691; AFR, 12 March 1998, p. 4. Australian (Syd. ), 21 March 1998, pp. 1, 6; Warwick Parer, Voluntary-V-Compulsory Voting, Brisbane, 1990; Courier-Mail (Brisb. ), 17 Dec. 1994, p. 31; CPD, 3 Dec. 1991, pp. 3918–23, 4 Dec. 1991, pp. 4161–4, 5 Dec. 1991, pp. 4205, 4207–8, 25 Nov. 1993, pp. 3643–4, 9 Nov. 1994, pp. 2760–3, 28 Nov. 1994, p. 3318; Select Committee on Aircraft Noise in Sydney, Falling On Deaf Ears? Canberra, Nov. 1995. SMH, 15 March 1996, p. 1; Courier-Mail (Brisb. ), 6 April 1996, p. 5, 23 Jan. 1998, p. 5; CPD, 23 May 1996, pp. 989–1007, 29 May 1997, pp. 3945–55; Media Release, Senator Warwick Parer, 29 May 1997; CPD, 6 May 1996, pp. 327–8, 6 March 2000, pp. 12196, 12204; Media Release, Senator Warwick Parer, 28 May 1998; Age (Melb. ), 22 Oct. 1997, p. 1; Media Statement, Minister for Defence, 21 Oct. 1997; Media Release, Senator Warwick Parer, 4 Nov. 1997; CPD, 8 April 1998, p. 2289; Courier-Mail (Brisb. ), 2 April 1997, p. 5. CPD (R), 11 March 1998, pp. 976, 980–2; CPD, 11 March 1998, pp. 812–13, 885–6, 12 March 1998, pp. 942–3, 24 March 1998, pp. 1145–6; Courier-Mail (Brisb. ), 13 March 1998, p. 14, 19 March 1998, p. 1; Australian (Syd. ), 12 March 1998, pp. 1, 2; CPD, 26 March 1994, pp. 1354, 1395; Committee of Privileges, 125th Report, Canberra, 2005, p. 56; CPD (R), 24 March 1998, pp. 1384–5, 10 Feb. 1999, p. 2337; Age (Melb. ), 10 Feb. 1999, p. 1; Australian (Syd. ), 12 Feb. 2000, p. 9; Courier-Mail (Brisb. ), 12 Feb. 2000, p. 8. Council of Australian Governments, Towards a Truly National and Efficient Energy Market, Department of Industry, Tourism and Resources, Canberra, 2002; Australian (Syd. ), 26 March 2008, p. 4; Courier-Mail (Brisb. ), 12 Feb. 2000, p. 8. This biography was first published in The Biographical Dictionary of the Australian Senate, Vol. 4, 1983-2002, Department of the Senate, Canberra, 2017, pp. 210-215.